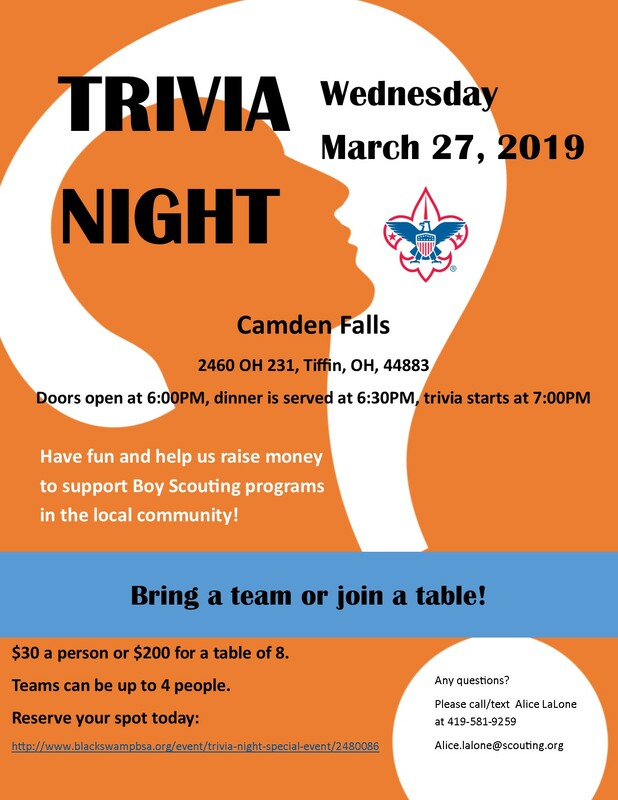 Test your knowledge and feel good about it at the Trivia Night Special Event on Wednesday, March 27th. Come to Camden Falls, 2460 OH 231, Tiffin, OH, 44883. Throughout the event we will have a Silent Auction, and Rounds of Trivia brought to you by our Host Christopher Thacker.